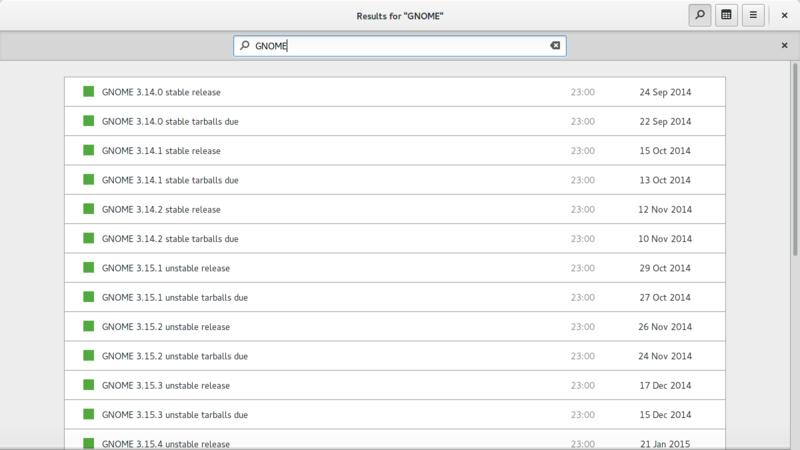 Georges Basile Stavracas Neto spent last days with rewriting search in GNOME Calendar. I tested this improvements as far as I could. So, what has changed? 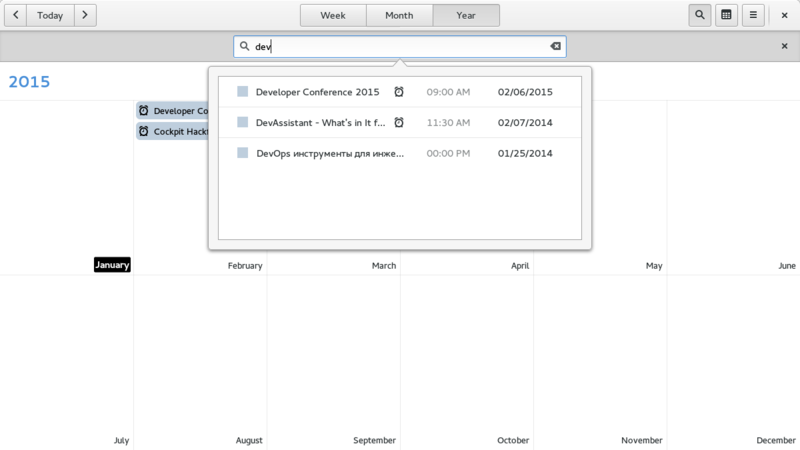 So many, Georges added sorting, replaced page with search results to GtkPopover and much more. Just see screenshots.